My sweet friend Erin contacted me right after my mom passed away in November, and offered to help me out with creating blog content while I took a little break. I really let my email go, and didn’t even SEE it until December when I was heavy into all of the Christmas stuff I’d already created. I told her it meant so much to me, and that would love to have her share some goodness in January, so here she is today! 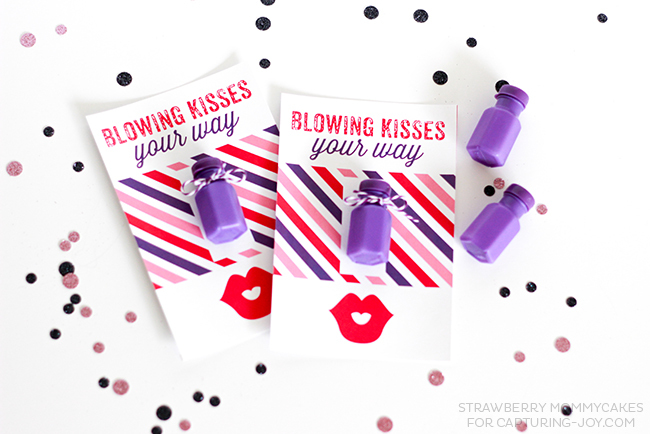 I’m LOVING this sweet Bubble Valentine Printable idea she is sharing here for all of us. Here designs and use of color are simply stunning. Please hop on over to her site at the end, and see what else she has to offer!! Hello, friends! 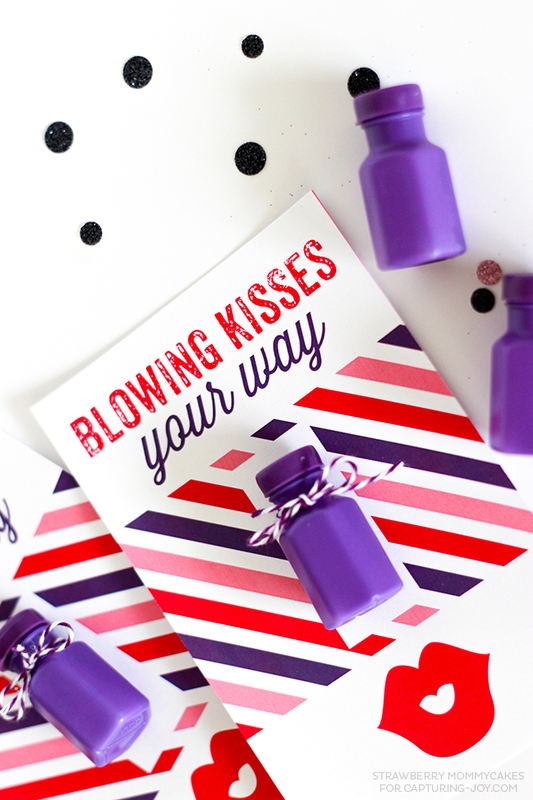 I’m Erin from Strawberry Mommycakes, and I’m sharing this adorable, cheap and easy Bubble Valentine Printable. 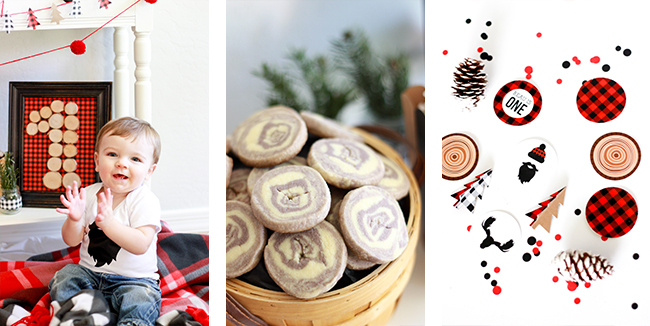 I don’t know about you…but we all got way too much candy for Christmas this year. I don’t even want to look at a chocolate bar. Okay, that’s probably not true, but it still has me thinking of different things to give as gifts for Valentine’s Day. I bought these cute little bubbles ages ago and decided they would be an acceptable replacement for candy. My kids always get excited when I give them bubbles, so why not? 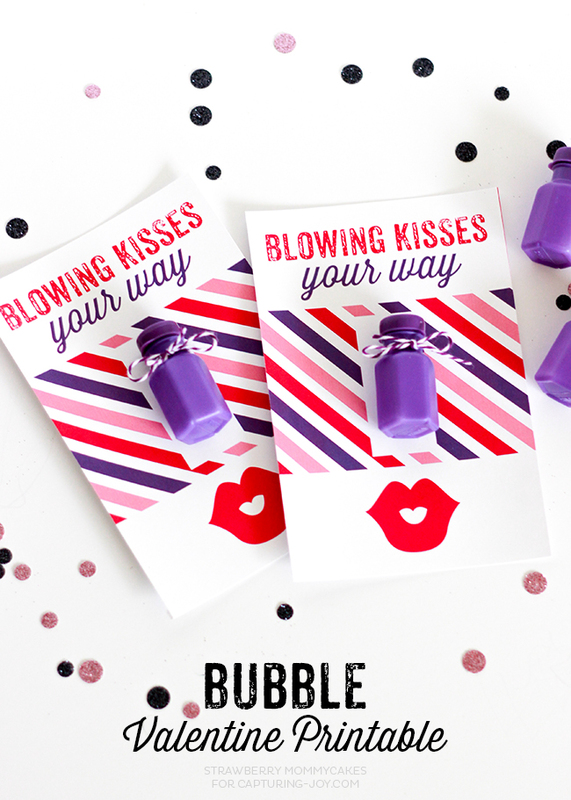 All you need to do is print these out, then attach the bubbles to the card with a glue dot. If you haven’t discovered glue dots yet, then you’re welcome. They are amazing, and I can’t live without them. You can also tie a little bow around the bubbles to add a little something extra. It’s hard for me NOT to put bows on things, so this was not optional for me. 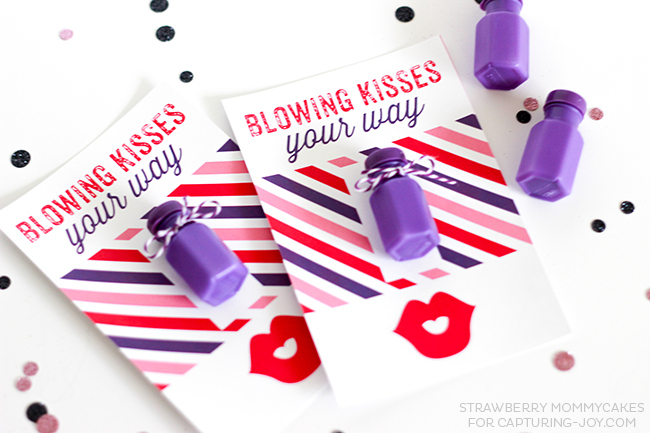 I’m not a big fan of celebrating Valentine’s Day myself, but I love preparing these so my kids can take them to school. I painstakingly search the holiday aisle for the perfect Valentine gift…who knew I would find the supplies I needed in my closet? Moral of the story, if you see tiny bubbles, buy them. 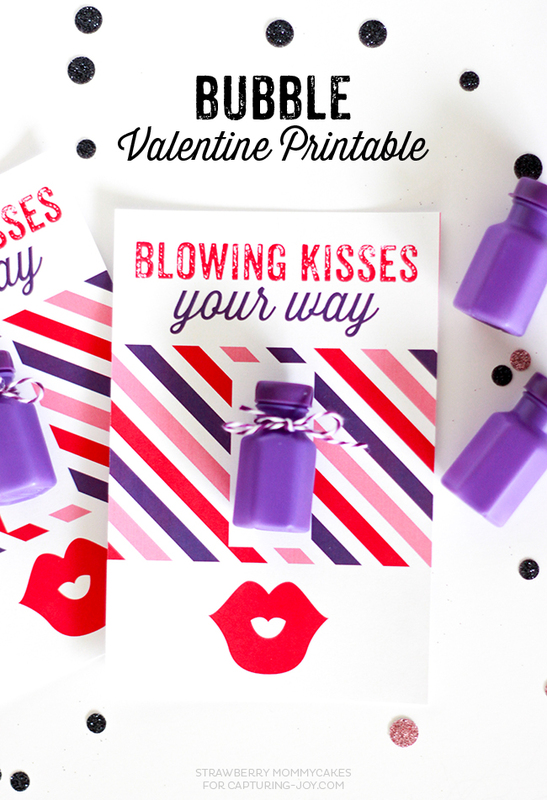 I need to up my Valentine Printable game because last year I had a baby in December and I didn’t get any of my Valentine printables designed last year. I’m going to remedy that this year, but until then, check out all the details of my son’s 1st birthday party!